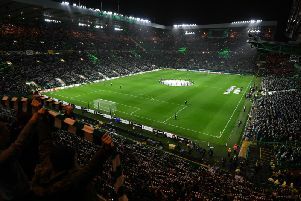 Dundee are set to ask for permission to switch a home Scottish Premiership fixture against Celtic to the United States – but the plan is likely to be blocked by Fifa. Any such move has to be approved by the world governing body which, along with Uefa, opposed a similar plan by the English Premier League to take a competitive fixture abroad in 2008. The move to stage a game against Celtic in the USA is understood to have been informally suggested by Dundee’s American owners Tim Keyes and John Nelms. But no formal request has yet been received by the Scottish Professional Football League, who would be required to back the plan in the first instance, before it was then put to the SFA and ultimately Fifa. A spokesman for the SPFL said: “The SPFL Board would require to sanction any move for a league game to be played overseas. Potential venues for the match include Philadelphia and Boston, cities where Celtic have played friendlies in the past during pre-season and post-season trips.